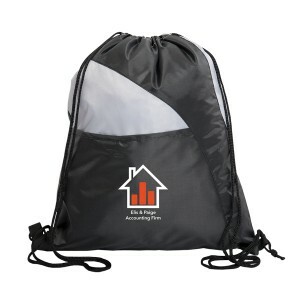 This customized polyester drawstring knapsack makes a value effective brand building choice for marketers who are trying to sculpt big value impressions for their brand from smart investments. 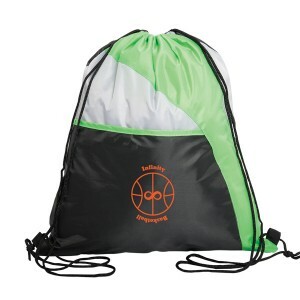 This knapsack is extremely popular on the gifting scene due to its adorability, high purpose, and largely affordable price tag. 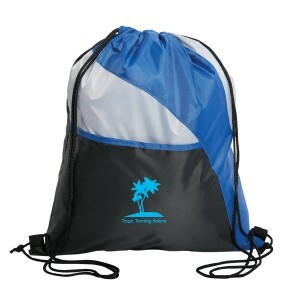 This knapsack buys attention with its impressive colors accentuated with white accents. The front slash pocket with Velcro® closure offers enough space for storing mobile phones, and other small things. 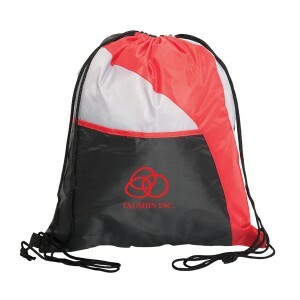 Request a quote to know bulk order pricing benefits that can be availed on this promotional polyester drawstring knapsack. Features- 210D Polyester. 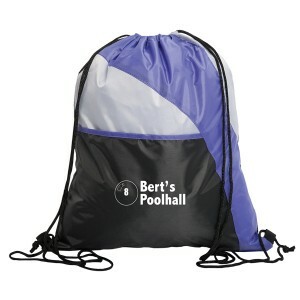 Black double cords act as drawstring closure and straps for backpack. 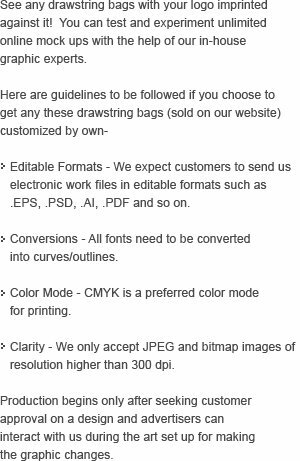 All bags have white accents. Front slash pocket with Velcro® closure. Imprint area: SP PP PS – 5” W x 4.5” H (front pocket) & SP PP PS – 7” W x 7” H (back).